03 Apr 2019 --- Burger King has revealed that it is trialing Impossible Foods’ meatless patties in restaurants in St. Louis, US. In the same week, Nestlé made its latest foray into the meat-free market, launching a new “cook from raw” plant-based burger for European markets, while also unveiling launch plans for the US later this year. As the race to feed the world’s growing population speeds up, companies are exploring alternative food options. By 2050, the global population is predicted to reach 9.8 billion and affordable and sustainable nutrition is set to become much more essential alongside the inclusion of plant proteins. 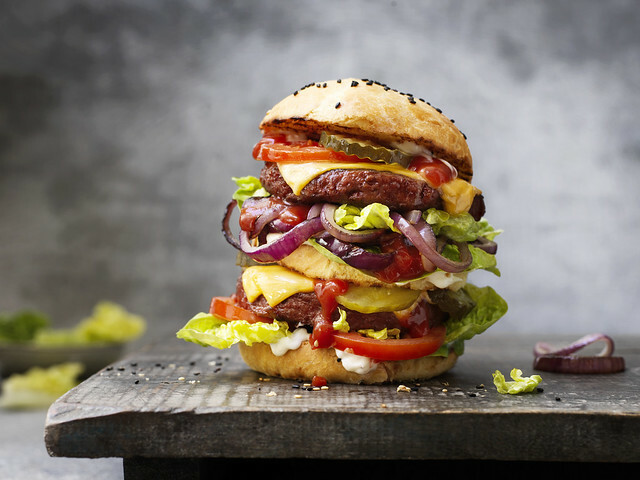 “The shift to plant-based meat is inevitable,” Rachel Konrad, Chief Communication Officer at Impossible Foods, tells FoodIngredientsFirst. As consumers reduce their meat intake, food companies are rushing to compete with plant-based alternatives. Burger King has announced that it is trialing Impossible Whoppers, made with plant-based patties from Impossible Foods, in 59 restaurants across the city of St Louis. If the trial proves successful, the fast-food giant says it will roll out the Impossible Whopper nationally. Click to EnlargeBurger King’s Whopper brand speaks for itself, Konrad claims. 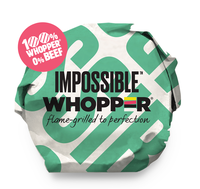 “We would definitely say that the Impossible Whopper is ideal for this product positioning,” she explains. Impossible Foods is the only plant-based company that has “cracked the molecular code for meat,” according to Konrad. “Our first product, the Impossible Burger, competes directly with meat from cows – an enormous legacy industry that still has nearly 100 percent market dominance. The competition in the plant-based space is enormous,” she adds. The company also released a video in which customers said they couldn’t tell the difference between the meat and plant-based patties. The vegetarian Impossible Whopper is intended to taste just like Burger King’s signature Whopper sandwich. Unlike some plan-based burgers, the Impossible branded products are designed to mimic the look and texture of meat when cooked. Burger King says the move is “a bid to entice more vegetarians to visit the fast food chain.” Burger King also notes that the Impossible Whopper has fewer calories than the classic, beef-based sandwich, zero trans fats and is also low in cholesterol. Earlier this year, American fast food chain White Castle announced it would begin rolling out Impossible Foods products to its 377 locations nationwide. However, the potential for its product to be sold in Burger King’s 7,100 nationwide restaurants would be a milestone for the company. In January, Impossible Foods revealed a new recipe, which the company CEO says delivers “unprecedented taste, nutrition and versatility,” which is designed to look and taste even more like meat and includes the same level of protein and iron as beef, which is the version used in Burger King’s menu. Burger King’s latest announcement comes in the same week that Swiss food giant Nestlé’ unveiled its plans to roll out 100 percent plant-based burgers across Europe and later in the year in the US. The Garden Gourmet Incredible Burger will launch in Europe this April, first coming to Austria, Belgium, Denmark, Finland, Germany, The Netherlands, Norway and Sweden. 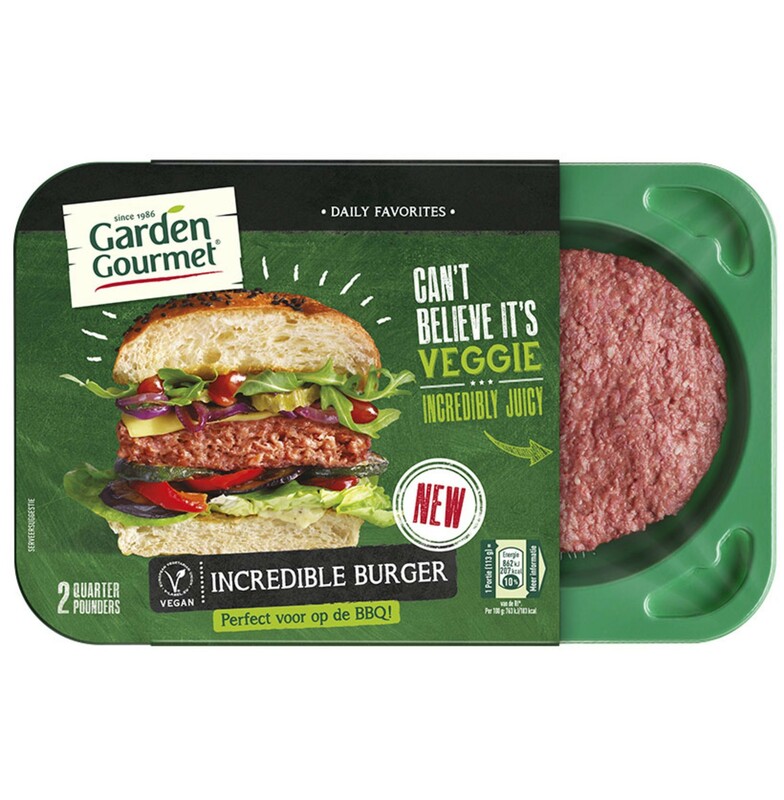 The Garden Gourmet Incredible Burger is 100 percent plant-based, with natural protein from soy and wheat. Natural plant extracts – beetroot, carrot, and bell pepper – help create the look of a beef burger before, during and after cooking. This coming fall, Nestlé will also roll out a “cook from raw” plant-based burger in the US under the Sweet Earth brand, customized to suit the needs’ of the US consumer. Named the “Awesome Burger,” this new burger will be sold fresh and will complement Sweet Earth’s existing burgers which are already sold on the market today. Many consumers recognize that less meat in their diet is good for them and the planet, but plant-based meat alternatives often do not live up to their expectations. The new burgers allow even meat lovers to enjoy a veggie burger that hardly differs from a traditional burger. They even make the sizzling sound of a regular beef burger during cooking, says Nestlé. They are the result of collaboration between culinary chefs, alternative protein researchers and local food experts at both Garden Gourmet and Sweet Earth. “We’re proud of our ability to make healthy and sustainable food accessible to everyone through our trusted brands. This includes plant-based food products under our Garden Gourmet range in Europe and the Sweet Earth brand in the US,” England adds. Consumers are more conscious than ever about making responsible food choices that are not only healthy, but that also take sustainability and ethical considerations into account. Click to EnlargeAccording to data from Innova Market Insights, there has been a 45 percent average annual growth of food and beverage launches with a vegan positioning (CAGR, 2013-2017). New launches with a vegan positioning increased market penetration in Europe from 1.5 percent in 2013, to 7 percent in 2017. The strength of the plant-based category was recently highlighted when Unilever acquired Netherlands-headquartered meat alternative innovator The Vegetarian Butcher in late December, bolstering its position in the meat-free segment. Also in January, Beyond Meat partnered with Carl’s Jr. to launch a plant-based burger, The Beyond Famous Star, to keep up the pace for the growing appetite for flexitarian food. It was hailed as “a first-of-its-kind” flexitarian take on the Carl’s Jr. Famous Star, with a 100 percent plant-based patty from Beyond Meat. Last year, Innova Market Insights pegged “The Plant Kingdom” as its number two top trend for 2019, reflecting how vegan inspired eating continues to go mainstream. The trend is set to become even more significant for the coming months.